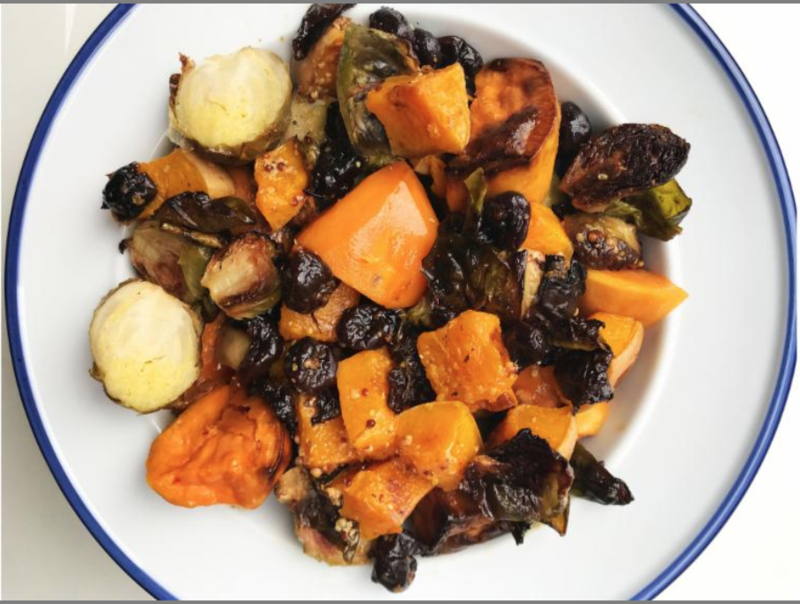 Spread Brussels sprouts and butternut squash on a baking tray and drizzle with olive oil. Season with salt and pepper, and roast in the oven for 20-3o minutes, or until the vegetables are tender. Scatter the dried cranberries on the baking sheet when the vegetables have five minutes left. Meanwhile, whisk together the vinaigrette, and set aside. Allow vegetables to slightly cool and then toss in vinaigrette. Enjoy as a side dish with any meal!